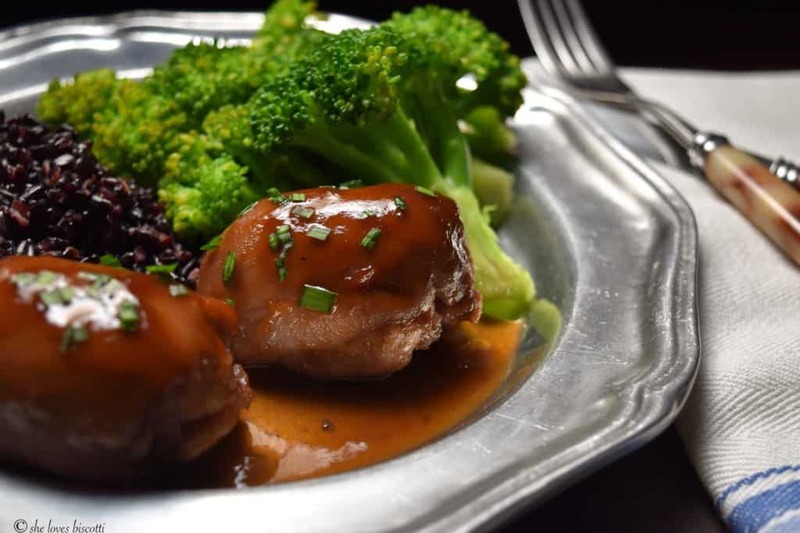 Do you like sweet and sour chicken dishes? If you do, you’ve landed on the perfect page! 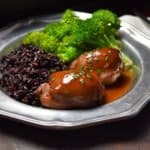 This recipe for Super Easy Baked Chicken Thighs requires only seven ingredients and although the recipe comes together in under one hour, the active prep time is just 10 minutes. I just love how the different seasons can provide us with so much variation and inspiration when planning meals. 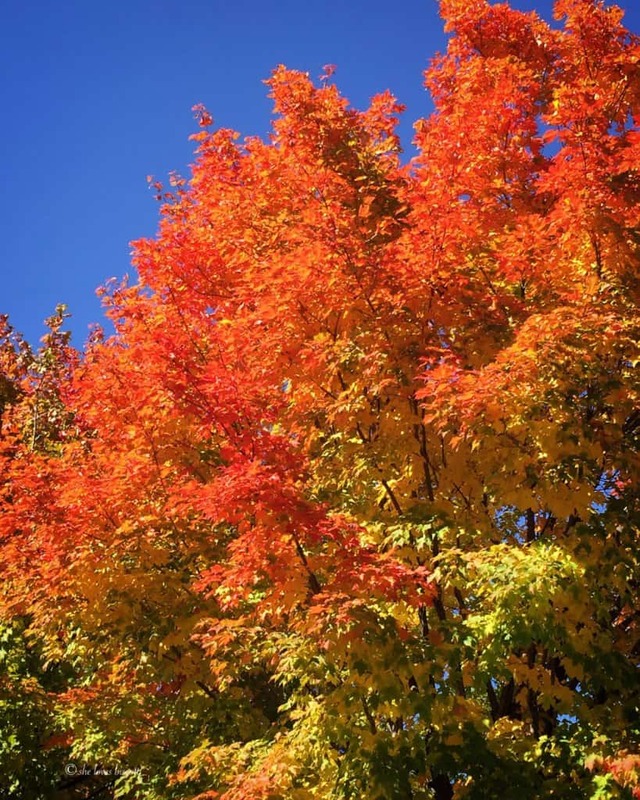 If I had to choose my favorite season, it would have to be fall. It’s almost impossible not to appreciate the vibrant colors that can be found in leaves as nature prepares to slow down for a couple of months. This unhurried pace is also transferred to home cooked meals which will often take the form of soups and stews and slow cooked meals. And let’s not forget all the wonderful fruits and vegetables which are harvested during this period. I just love concord grapes, for example. I have previously mentioned that I have a few of these grape vines growing in my backyard. In fact, making this Homemade Concord Grape Jelly has become one of my fall rituals. 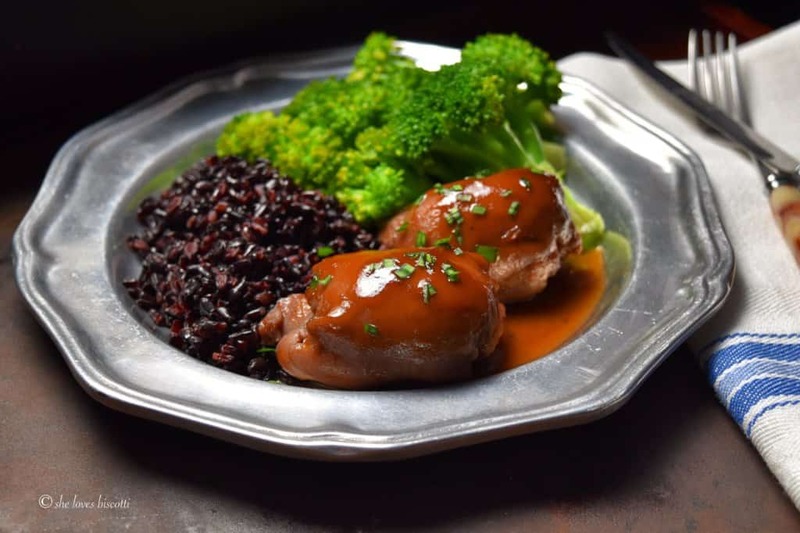 As you may have guessed, grape jelly is one of the 7 ingredients required to make these Super Easy Baked Chicken Thighs. Essentially, what you are doing is placing six of the seven ingredients in a saucepan. 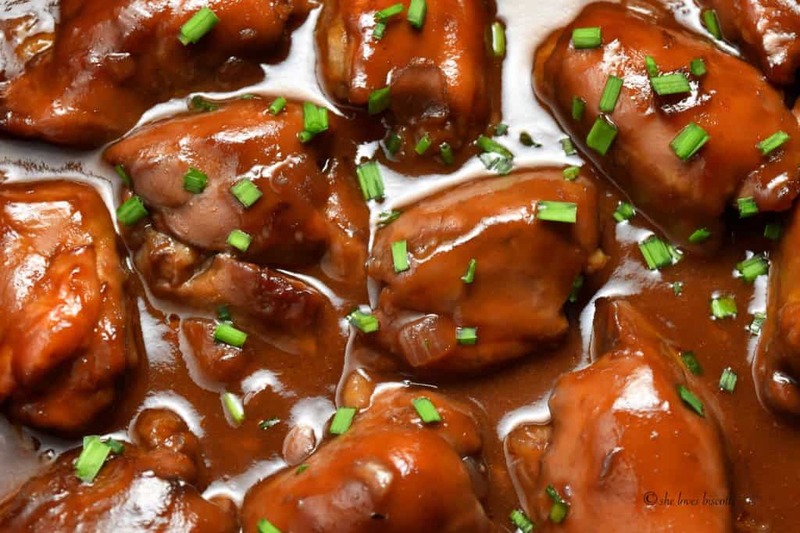 Once the sauce comes to a boil, you simply pour it over your chicken thighs and bake for about one hour. That’s it! 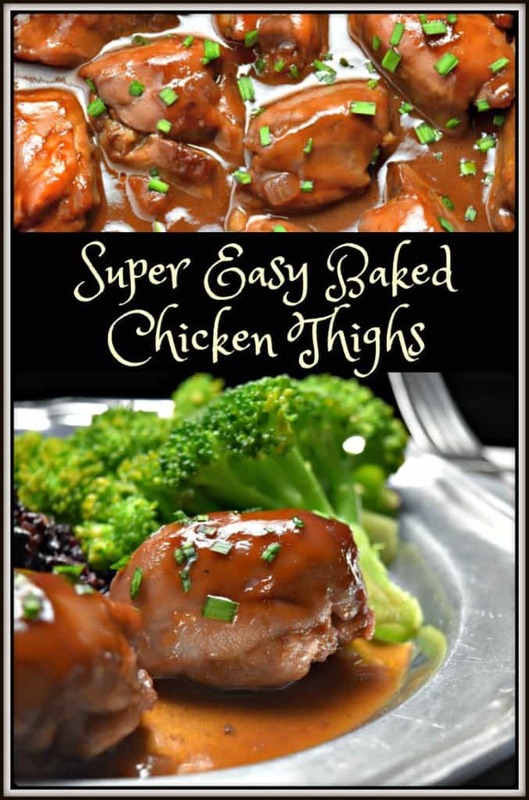 Just like the title indicates, Super Easy Baked Chicken Thighs! It was many, many decades ago that this recipe was given to me by one of my older cousins, who found it in the Wednesday food section of the Montreal Gazette. If you have visited me before, you will know that many of my simple recipes have their origins in this local paper. Serve these Super Easy Baked Chicken Thighs with a healthy portion of your favorite vegetable and some wonderful grains. Who says eating healthy is boring? With just 10 minutes of prep time and only 7 ingredients you won't believe how tasty this recipe for Super Easy Baked Chicken Thighs is. 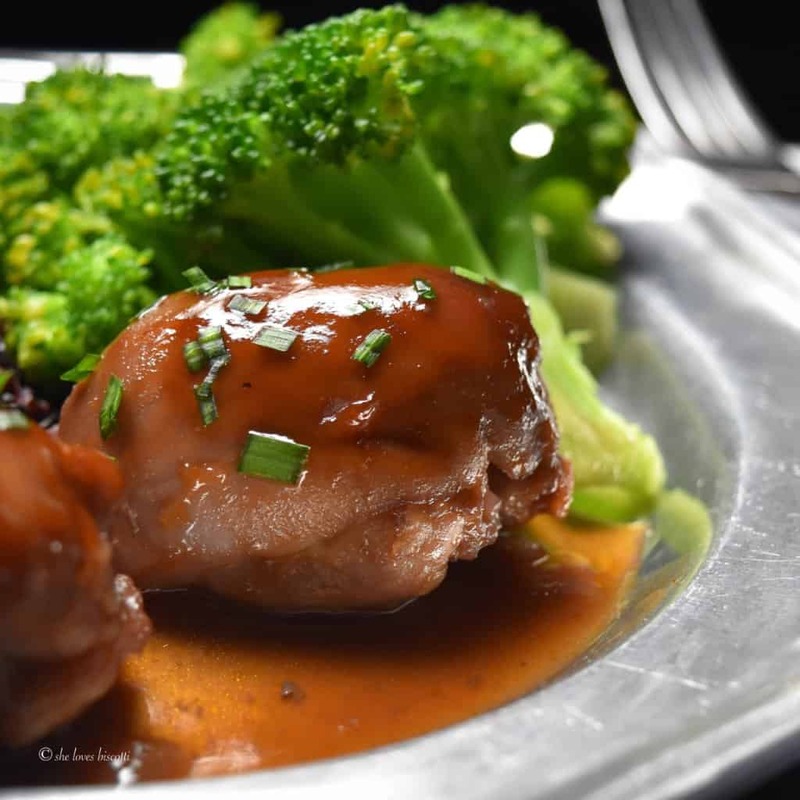 In a small saucepan, whisk together all the ingredients except the chicken thighs. 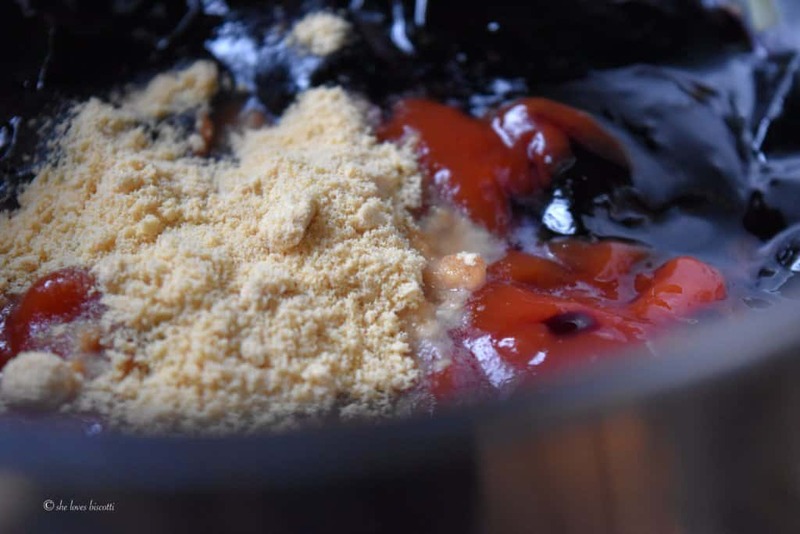 Bring the mixture to a boil over medium-high heat. While waiting for the mixture to boil, place chicken thighs in a 13 x 9" baking dish. Once the sauce has started to boil, pour over the chicken thighs. Turn the chicken over to properly coat the chicken. Bake in preheated oven for about 60 minutes or until juices run clear. Baste the chicken with the sauce every 15 minutes or so. If desired, garnish with chopped chives.